12.9-inch iPad Pro still in works, too? 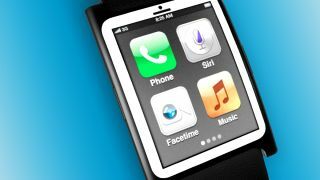 In recent months we've heard plenty about Apple's rumored plans to offer the iPhone 6 in different sizes, and speculation today suggests the firm may be planning a similar strategy with the iWatch. Reports out of Taiwan suggest the company is planning to launch not one, not two, but three iWatch variants later this year. According to the Economic Daily, the firm is plotting an iWatch with a 1.6-inch display and another two sporting 1.8-inch displays, one of which will come equipped with a sapphire crystal screen. The site claims Apple is planning for a Q3 launch this year, but all recent speculation has pointed to a holiday release for the long-awaited wearable device. Interestingly, Economic Daily also claims Apple is still on track to launch an iPad Pro, an ultra-premium tablet with a 12.9-inch display. That talk was all the rage a few months back, but there's been little word lately as talk of the iPad Air 2 and iPad mini 3 starts to gather momentum. The report says the iPad Pro will be available by the end of the year. As with all Apple rumors, it's important to take this latest information with a healthy healthy of sodium chloride.